President Minnis TYW 2017 Promo from Casting Nets Ministries on Vimeo. 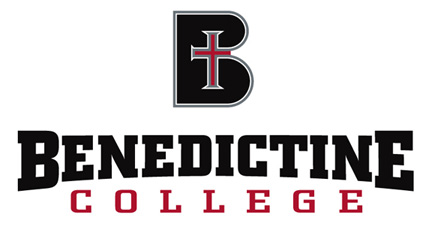 Benedictine College is a co-educational university in Atchison, Kansas founded in 1858. It is a Roman Catholic, Benedictine, liberal arts, and residential college located on bluffs overlooking the Missouri River, northwest of Kansas City, Missouri. The Cardinal Newman Society lists Benedictine College as one of America’s Best Catholic Colleges in their collegiate guide. U.S. News & World Report rated Benedictine College as one of America’s Best. Benedictine College offers more than 45 majors and minors. The college offers students the opportunity to study abroad at its Florence, Italy campus, as well as making available other study abroad programs in 50 countries. Nearly 80% of undergraduate students live on campus in the college’s residential tradition. Benedictine college has 16 varsity sports and 2 club sports, and 8 intramural sports leagues throughout the year. The Fellowship of Catholic University Students (FOCUS) was founded on Benedictine College’s campus. Last year, about 600 students participated in FOCUS bible studies and discipleship. St. Paul’s Outreach offers the opportunity for students to live in Christian households. Hundreds of students traveled for their faith to such places as New Mexico, North Dakota, Belize, the Dominican Republic, El Salvador, Haiti, Honduras, the Philippines, India, Brazil, and Rwanda. Benedictine College, the flagship college of the New Evangelization, has created a new major called Evangelization and Catechesis. Students focus on either youth ministry or evangelization. Benedictine College dedicated a Marian Grotto in the center of campus, offering a breathtaking place to pray. Mary’s Grotto was built during the 150th anniversary of the apparition of our Lady of Lourdes, and was inspired by the Lourdes Grotto in France. Two stones from Lourdes are in the Grotto’s newest additions. Benedictine College sends one of the largest college student groups to the annual March for Life in Washington, D.C.
Four varsity sports teams received NAIA Scholar Team recognition. Benedictine student-athletes average higher than a 3.10 GPA. Through a landmark agreement with the University of North Dakota, Benedictine College is one of the few Catholic colleges in the nation offering an ABET-accredited program in Chemical, Civil, Electrical, and Mechanical Engineering. Benedictine College’s enrollment has increased for 16 consecutive years. This year’s enrollment of over 1,725 full-time undergraduates, including 490 freshmen, triples its enrollment 21 years ago. Alumni Since 2000: 98 Vocations, 13 Bank CEOs, 7 University Presidents, 4 Bishops and 1 Nobel Laureate. Alumnae Wangari Maathai, ’64 won the Nobel Peace Prize in 2004, making Benedictine College the only Catholic college in America to graduate a Nobel Peace Laureate.